Literaacy ideas and resources for English teachers and students. Whilst Trump’s delivery and intent of these terms are contentious there is no debate he called out the elephant in the room when talking about news and journalism in the context of modern technology. The propagation of questionable “news” content has skyrocketed out of control at pace with the growth of the internet. 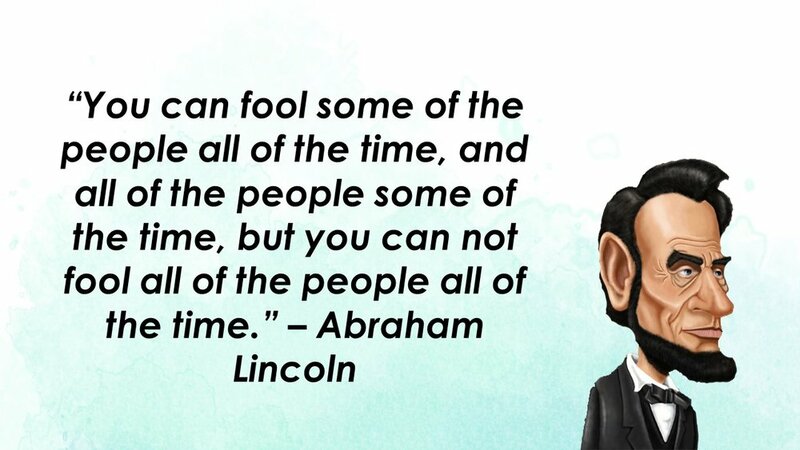 Content creation today is virtually free without any need for fact-checking or validation. Today’s news cycle is now driven by the need to be first as opposed to providing insight, truth and depth behind a story. Our students are growing up in a world dominated by fake news on the platforms they look too most frequently for truth and reassurance. 21st-century media is out of control, living off the reputation of two centuries of professional journalism operating within an environment in which printing, publishing and televising news was an expensive and competitive game in which “fake news” and “alternative truths” could sink an organisation and end a career in instantly. Mark Zuckerberg Facebook creator and founder has the loudest voice on earth, with 3.15 billion active users log into Facebook at least once per month. He has the loudest voice in history, and it’s not even close. No individual or organization has actively controlled what half the earth’s population can see, say or share. And all without any regulation. Facebook is valued at over $500 Billion, with Zuckerberg’s wealth entirely generated by selling our data. The flow of this data is controlled by algorithms. Secret algorithms that are completely hidden by Facebook. This denial of transparency underpinned by our governments who clearly value the profitability of big business over free speech, privacy and protection of our rights. We must understand that Facebook is drinking water from a fire hydrant here and get a lot more wrong than right. Mark Zuckerberg is still wiping the egg from his face after he was forced to admit they completely bungled the flow of information and content from Russian hackers that may potentially have put Trump in office. For Zuckerberg, a man with an endless cash flow, and the largest soapbox in history and surely has an eye on the White House at some point will be forever dogged as being asleep at the switch in a critical moment of global history. As educators, we must value this understanding of fake news, and a greater understanding of algorithmic design and suppression and release of data as an essential skill for our students. And we are already starting from a long way back. What skills and knowledge do our teachers and students need to outsmart a journalist who got their degree from Walmart. Sugata Mitra, globally renowned educational researcher believes today’s students need only three essential skills beyond a basic elementary education that are based on sorting facts from fiction, enquiring and acting. Teach students to both question and believe things they read and see. Mitra identifies these skills as essential for students in arming them with the skills to oppose doctrine and think and act for themselves. Teaching “Fake News” in the classroom is surely an essential skill for any student with access to social media and uses the internet to seek out information about the world around us. What are they? What is entertainment? What is news? How can I report or respond to this? The internet is not driven by free speech or good will, but by search engine optimization and keyword stuffing. Internet success is more about being page one on Google or first with a news story rather than being correct or the best at what you do. We have an obligation to our students to share this knowledge with them from a very young age. Of course, we will never know as there is no transparency or government regulation around the content they run on Facebook. Ironically the government could shut down NBC tomorrow for major breaches of ‘Fake News” but they can do nothing to control Facebook. 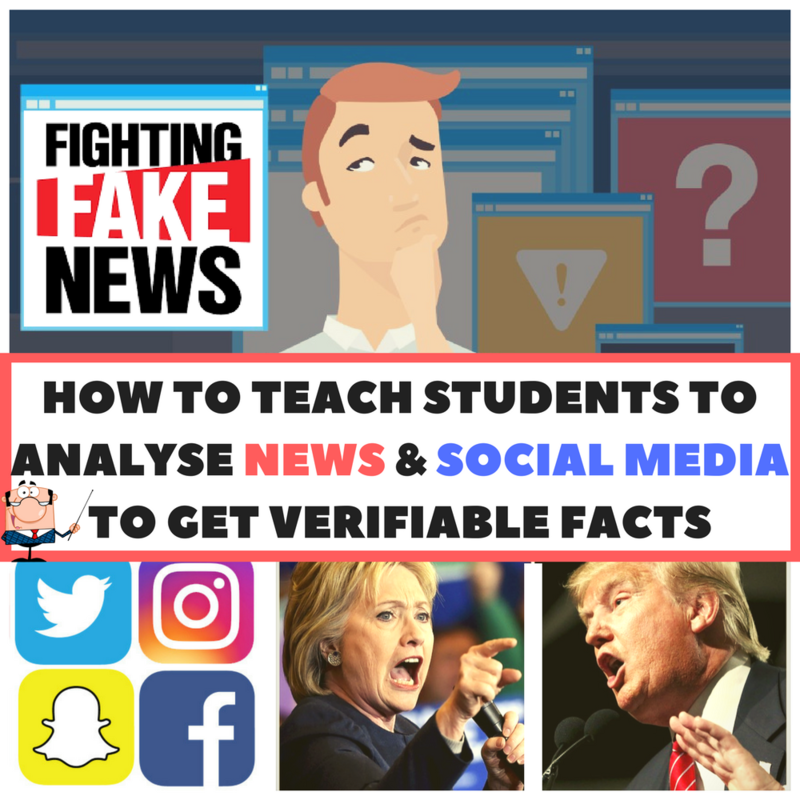 A complete unit of work on how to teach students to analyze news and social media to get verifiable facts. ALL CONTENT, RESOURCES AND ASSESSMENT TOOLS INCLUDED. We must teach our students the difference between a fact and opinion. Twenty years ago it used to be what someone thinks as opposed to what was published in a nonfiction book such as an encyclopedia. Today a student probably considers what Siri tells them to be a fact, and maybe what their teacher tells them to be an opinion. The lines have become very blurred but we cannot avoid dealing with this issue. How do students seek a second opinion, be it on the internet or otherwise and what weight can I place on different news sources? These are all issues we just took for granted in a post-internet world. Technology is not going anywhere, and nor is our dependence upon it for news. Ignoring this issue will not make it go away. Become a teacher who understands and accepts that we are the products of organizations such as Google, Facebook and Amazon and if we see content or behavior in these spaces that simply does not pass the sniff test that we can either call it out or step off the train until we are comfortable it is taking us to a better place. Fake news has and always still exist but we just need to start teaching our students that in the real world they do not have to accept it.